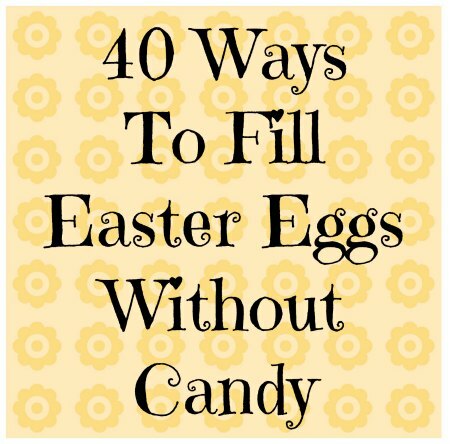 Here is a great list of 40 ideas that are NOT candy to fill your Easter eggs with. Many of these great ideas can be found at the dollar store or in the dollar section at any store… which means you can still do it on the cheap. Thanks to The Jenny Revolution for the great list and ideas!